When you choose True Life Fotos for your wedding photography, highly renowned photographer Ron Buffone and company will take pride in being able to tell your story by timelessly capturing all your moments for a lifetime of memories. Ron Buffone, photographer, DP, director, producer and owner of True Life Fotos, has served a long list of professional clients including the Jonas Brothers, John Mayer, Justin Bieber, Taylor Swift, Usher, and more. With our cutting edge approach and non-traditional style, clients see that working with True Life Fotos gives a boutique-style photography experience. And we bring this extensive experience to photographing your wedding and so much more. As a premier wedding photographer, we will make sure your photos are romantic, timeless, compelling and elegant. From your engagement to your wedding day, let us tell your story with all the amazing details, emotions, and whimsical moments. 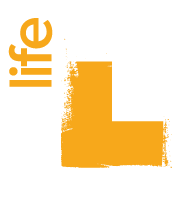 True Life Fotos offers the best wedding photography in Westchester County, Hudson Valley, New York City, NY, Greenwich, CT areas, even destination weddings and more.